California Hematology Oncology Medical Group (CHOMG) is a dedicated team comprised of board certified specialists in blood disorders and medical oncology with a caring ancillary staff committed to the enhancement of the physical and spiritual well being of cancer patients and their families. CHOMG’s dedication to providing the best patient experience over the years includes adopting the most sophisticated technology available to the medical industry. Through this methodology, CHOMG is able to fulfill their mission in providing the most compassionate and individualized attention for their patients. The need for more functionality to provide staff and patients with a modern experience. Transitioning from PBX to VoIP to modernize their medical practice. CHOMG’s unique relationship with UniVoIP spans further back than their decision to move to a cloud-based phone system. Originally, CHOMG was serviced by Telenet VoIP Inc., UniVoIP’s parent company, specializing in high-quality design and installation of integrated systems including PBX solutions. As CHOMG’s facilities continued to flourish and their patient experience demanded more advanced functionality, the medical practice decided to consider adopting a VoIP solution that could satisfy staff and patient needs. Transitioning from their PBX system to the cloud was as simple as keeping their infrastructure in the Telenet-UniVoIP family. Now with UniVoIP for almost a decade, CHOMG continues to diligently provide the most sophisticated and modern communications technology that not only improves staff productivity and collaboration, but also ensures their patients are met with the care that they deserve. 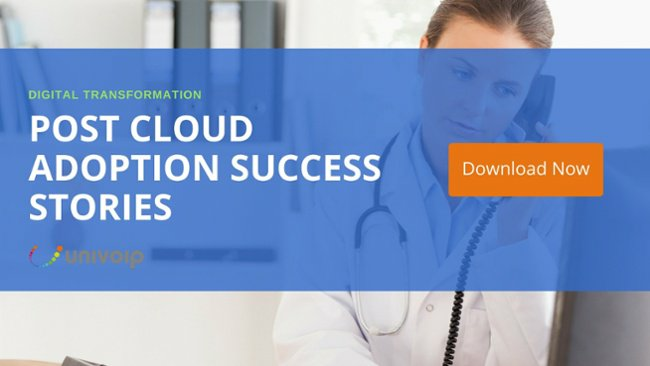 A Cloud-based Phone Solution that empowers patient-staff interactions. CHOMG’s transition from a PBX system to the cloud afforded the medical practice with a spectrum of benefits that a PBX system could not offer. From features to functionality, cost savings, 24/7/365 customer support, centralized management of both CHOMG facililties, remote worker capabilities and powerful patient-facing tools, CHOMG entered next generation patient care. Additionally, the EPA states that the average U.S. office worker uses about 10,000 sheets of copy paper every year and one tree makes 16.67 reams of copy paper, or 8.333.3 sheets. With UniVoIP’s unlimited UniFax (Fax-via-email) functionality, each CHOMG employee is able to save on average 1 tree per year, drastically reduce their carbon footprint, and can now promote environmentally friendly operations in an almost paperless office.